"You will be right near awesome dakgalbi restaurants, a littl..."
Have a question for Gangchon Chocomint Pension? "Place was clean and warm, like a summer cottage house." "Quite difficult to access the guesthouse, house owner is very nice and helpful"
"The kitchen includes a microwave, sink, basic supplies, stove top, rice cooker, and small refrigerator." 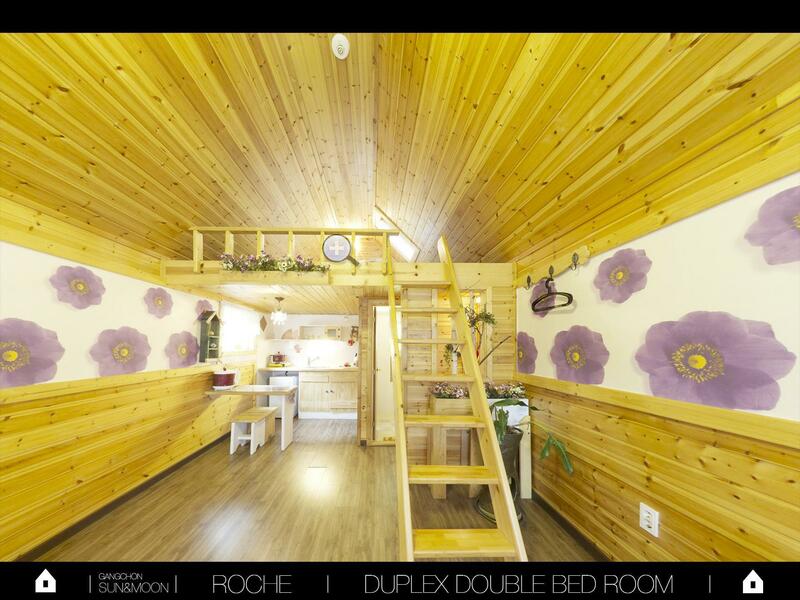 "The owners were nice and picked us up from Gangchon station,..."
Built in 2008, Gangchon Chocomint Pension is a distinct addition to Chuncheon-si and a smart choice for travelers. The excitement of the city center is only 15km away. With its convenient location, the hotel offers easy access to the city's must-see destinations. 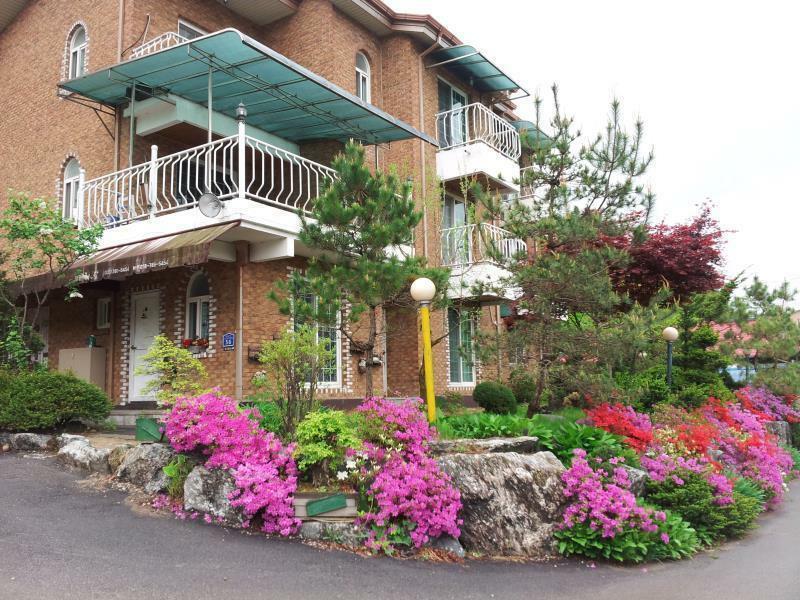 Gangchon Chocomint Pension also offers many facilities to enrich your stay in Chuncheon-si. For the comfort and convenience of guests, the hotel offers free Wi-Fi in all rooms, grocery deliveries, taxi service, ticket service, express check-in/check-out. All guest accommodations feature thoughtful amenities to ensure an unparalleled sense of comfort. The hotel offers many unique recreational opportunities such as hiking trails, ski equipment rentals, ski lessons, theme park, watersports equipment rentals. Enjoy unparalleled services and a truly prestigious address at the Gangchon Chocomint Pension. "The host were very nice and caters to your concerns." the owners were nice and picked us up from Gangchon station, as well was bringing us to the restaurants for lunch and dinner. place was clean and warm, like a summer cottage house. The owner & wife were very nice couple. They fetched us from the Gangchon station to the Pension as well as sent us back to same station on our return date. They even helped us ordered for breakfast at a nearby restaurant as their Pension doesn't provide. Only issue was during the last night stay, there was a next door neighbour guests who just checked in and didn't sleep but yet Sang loudly, talked and laughed so loud so we couldn't sleep at all until 3 plus am. The hostel owners are couple. They are very nice to us. They drive us from the station to their hostel and chat with us. They are willing to help us to travel around and tell us how to get to the destination that we wanted to go.The room is very spacious as you can see in the picture and very cozy. I would definitely recommend this place to the others. It could be nice if the place is snowing.We were there with no snow in Dec yet cold under (-) degrees.Chocomint is located at a very outskirt area I would say.Booked a taxi through the owner of the family-runned 'motel',unfortunately rates told defers of what we paid.Anyway,it is an additional of 30,000 won extra,2 way from Incheon to Chocomint and Chocomint to Dongdaemun.Language barrier caused much inconveniency.We chose here because of hoping to stay in a cottage style of place rather then in the appartment type in the ski resort.But our decision was a total wrong.99% people don't speak your languange.It's better to take a day trip from Seoul.Tumbs up to owner (husband and wife) trying their best to help us.The place is quiet not many people everywhere.We were there for X'mas,but there isn't much mood staying here.The cafe should have some music at least.Breakfast was also unavailable.Taxi is very expensive going only short journey.Room has no place to hang jacket. Many people go to Gapyeong but this place is near to Gagnchon train station. You will be right near awesome dakgalbi restaurants, a little amusement park where you pay by the ride, a beach-side ATV course and many other tourist sites. It is a beautiful house too and easy to find. The staff was always kind and friends and I go back every year. I highly recommend this place and Gangchon. the host is so nice that they drive us from the subway station. and provide much help in arranging transportation, travel advice and even order delivery for us. highly recommended. the owner was like a personal tour guide. she helped us get discounts on every activity and recommended the best restaurants nearby. i like it that the cottage has a cozy feel and comes with a sitting area where we can gather to have some snacks or just chat. the cafe looks cozy too but alas we didn't have time to spend there. the owners are very kind and hospitable and though they speak limited English, got their son on the phone to understand our needs and help us make arrangements accordingly. their recommendations of a couple of nearby restaurants were great and these restaurants also provide pick-up and drop-off service. taxis are readily available at the train station but getting one from near the pension off the road is challenging - we found out it is better to call for a taxi there but we didn't want to use our phone to make international calls. We enjoyed staying at the Chocomint Pension. The room was cute and cozy. The owners are very generous and helpful (though there English language skills are very limited). Our teenage children were comfortable sleeping in the loft above and my wife and I were in the bottom. The kitchen includes a microwave, sink, basic supplies, stove top, rice cooker, and small refrigerator. The shower worked well with hot water and good water pressure. The cafe below sold coffee and chocolate milks.You can walk 10-15 minutes to a mini-market. The first day the husband drove us to a larger supermarket to shop. The Gangchon train station is a 15 minute walk or a 5 minute drive in a car. Often there are taxis waiting outside the train station which can take you to the pension. Nice view from the rooms and balcony/patio area. We are family of four, choose this place because of its location and beautiful scenery. The host is very friendly, drive us to super mart to get grocery and when we checked out. Although the host can't speak English, but she try her best and even get her daughter in law and friend to be the translator. Really appreciate the effort! They recommended good place to visit during our stay. Have a good stay overall. Beautiful hotel inside and outside and very kindness and with pretty Cafe. The surrounding environment is also good . My stay was pleasant with expectations met,however the restaurant was not in operation instead they helped us to order lunch delivery by phone.For dinner we ordered BBQ in advance (provided by owner) but it was a little pricey (KRW 25000 per pax), we could have ordered for 2 pax instead of 3 pax since we are not big eater.Location is a bit inconvenient so the best is still taxi if want to visit attractions nearby. Clean. 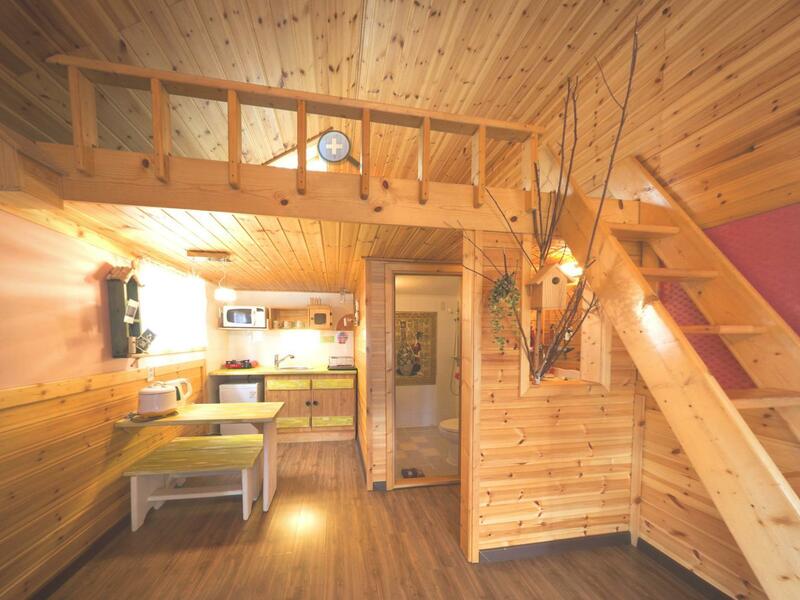 Cute accomodation. Cooking facilities. Chosen for its excellent location to Gangchon Rail Bike, Petit France and Nami Island. Very friendly owner. Good value for the low price paid. Would stay again.